Last October, when photos of a colored beret designed for the newly formed Security Force Assistance Brigade first leaked online, Army Chief of Staff Gen. Mark Milley responded to the backlash by vowing to redesign the cover to an unequivocal shade of brown. Milley and the 1st Security Force Assistance Brigade unveiled the new beret Thursday during the unit’s activation ceremony at Fort Benning, Georgia. 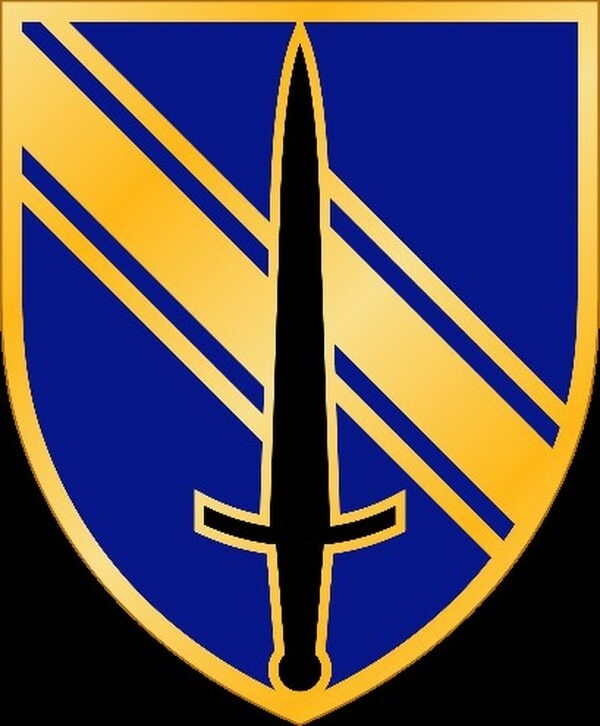 SFAB soldiers also donned a revamped unit patch and tab, retaining the sword and spearhead elements of the original. “The beret, flash and uniform patches are a recognition of the heritage of military training and advising, codified as a professional Army community,” Milley said in a statement. SFABs, manned with specially trained military advisers, are designed to fill the role that brigade and division headquarters have been filling in places like Iraq and Afghanistan for the past several years, where command and staff elements would deploy to train and advise local troops. This model eroded readiness as a whole, officials have said, because it separated brigade headquarters from their combat elements, which would stay behind. SFABs are made up of officers and noncommissioned officers who have already completed a stint in an operational unit. The effort to stand up the brigades — the Army plans to stand up six in all — has come from the highest levels of the Army, with Milley voicing his support for this growing need in the Army. It’s official: The Army is getting another beret. And this time, the outcry came fast and hard. Last fall, response to the leaked patches and beret came swiftly, particularly from the Special Forces community. Soldiers took to the internet to voice their opposition, not only on the first SFAB’s Facebook page but also through a Change.org petition. Many were unhappy that brand new brigades were receiving a tab and a colored beret like storied airborne, Ranger and SF troops, especially when initial photos of the beret looked very much like those worn by the elite Green Berets. Amid the backlash, Milley explained that the SFAB beret was modeled after those worn by the British Royal Anglian Regiment. In essence, he said, the SFAB beret is in a warm brown shade traditionally worn by infantry soldiers. The Green Beret community also pushed back against the unit patch, arguing that it was too close to the arrowhead and dagger symbols that unite SF units. 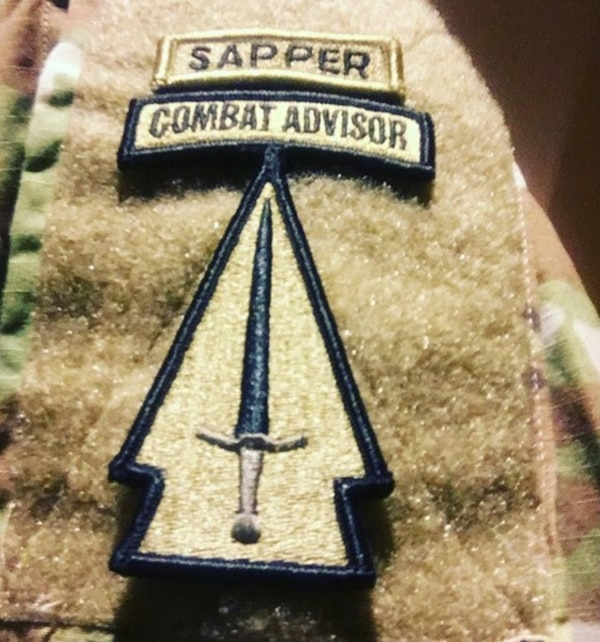 The final product is an evolution that started with a tab that read “ADVISE-ASSIST,” then “COMBAT ADVISOR,” as seen in Instagram posts from SFAB soldiers back in October. The arrowhead and sword motifs are inspired by the same unit patches worn by Military Assistance Command-Vietnam soldiers during the Vietnam War, Milley told Army Times in October. “The thirteen stars reflect the ‘Glory’ crest in the coat of arms of the United States and symbolize the 13 original states and the Army Mission patch worn by Military Assistance Advisory Groups,” according to the Army’s statement. On Thursday, the Army also unveiled the 1st SFAB’s unit insignia, which is a gold shield with a black sword pointing upwards and a beveled stripe. With their uniform items now in place, the 1st SFAB is preparing to deploy to Afghanistan, where it will attach to local forces to guide and facilitate internal peacekeeping and combat operations. 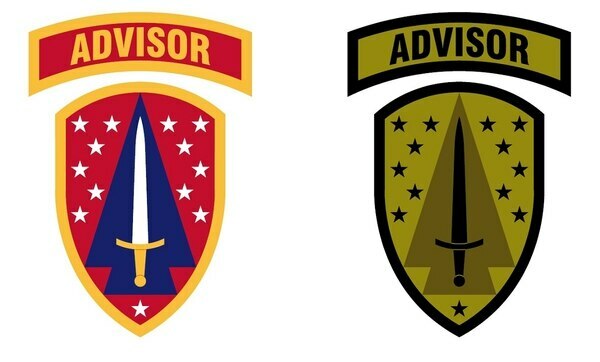 The 1st Security Force Assistance Brigade will make its maiden deployment to Afghanistan in the spring, according to a Thursday release from the Army.